DID you know that in the First World War the British Army considered delivering letters and parcels to the Front as important as delivering rations and ammunition? As the war dragged on, army food got more sparse and bland and the regulation clothing was woefully inadequate for the cold and mud of the trenches. Soldiers’ morale was boosted considerably by the efforts of mothers, sisters, sweethearts and women’s groups who sent warm clothes, food, sweets, tobacco and letters to the soldiers. Now an exhibition at Bristol Cathedral of the work of textile artists celebrates these incredible gestures which proved a vital link between those at home and those abroad, giving reassurance to both sides that they were in each other’s thoughts. 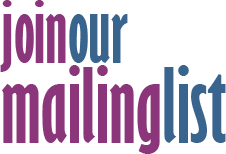 The artists - Sally Stanley, Paula New, Jane Marie-Mahy, Lucy Saunders and Jane Kay - have used mixed media to replicate some of the parcels, letters and goods which had been sent to the Front. One of the contributors, Jane Kay, from Stapleton, drew on her hobby as a knitter to make socks, arm warmers, mittens, fingerless gloves and balaclavas, all in khaki green, to show the types of clothing which were sent with love and received with gratitude. Jane, 68, found out about the project after meeting artist Sally Stanley at an art history class at Stoke Lodge last year. “The idea of the project came from Sally who is particularly interested in the First World War. She had an idea for a project based around the parcels which were sent to the troops. I told her I would be interested in doing some knitting for the project and it grew from there. Jane had no trouble following the patterns, having knitted since the age of seven, although these days she is more used to creating items of clothing for her great nieces and great nephews. Jane said she hoped the exhibition would resonate with people from the Fishponds area whose grandparents and great grandparents may have knitted for soldiers recovering from the war at the Beaufort War Hospital, which later become Glenside Hospital. “There were many injured troops who would have passed through Fishponds in the First World War,” said Jane. 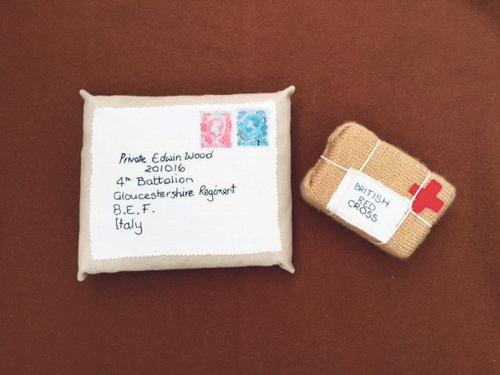 The names on the embroidered parcels are those of real soldiers who have featured in Bristol Cathedral’s First World War remembrance project called We Have Our Lives and in the book Letters From The Trenches by local author Jacqueline Wadsworth. Sally Stanley said: “All the artists had an interest in social history and a love of textiles. They found inspiration in the ongoing commemorations of WW1 and developed a fascination for the contributions made by the women at home. Their exhibition includes textile parcels, appliqué, embroidery, printmaking and knitting. The exhibition also includes work from GCSE textile students from Cotham School who have helped to represent some of the other items in the parcels. Parcels of Comfort is on display at Bristol Cathedral from September 9 - January 8.